This showroom is in the basement of one of the crenellated towers that make up Casa do Infante. 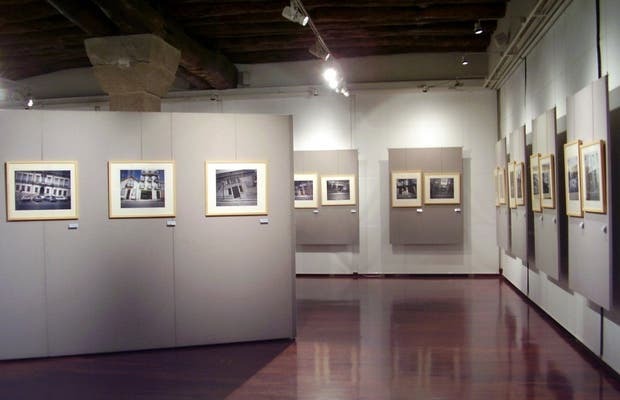 When I visited (August 2008) there was an exhibition of old photographs of Oporto. It was worth visiting, not for the exposure (which may be more or less interesting) but to see the building inside as it's a National Monument. Admission is € 2.50, but is free on weekends. Schedule: Monday-Friday: 10-12h and 14-17h, Saturday and Sunday 10-12.30h and 14-17.30h Admission includes a visit to the archaeological museum that's installed in the other tower.